Aurora Phoenix Dimmer - For use with Aurora Phoenix and Odyssey LED Lights. 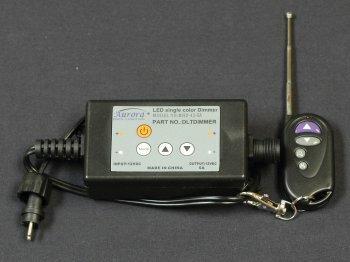 Works only with Low Voltage DC Transformsers. Includes Remote Control.